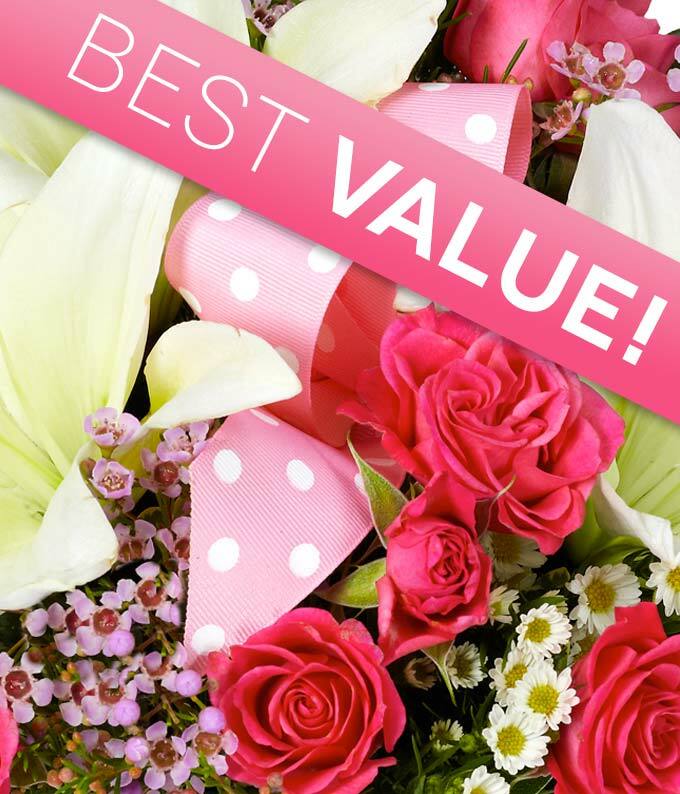 Celebrate the birth of a new baby girl with fresh flowers delivered by a florist. Artfully arranged in a classic glass vase, with a card message. Overflowing with flowers, this arrangement is a beautiful gift.